Since SnapStream is headed to Ottawa for GTEC next week, let's take a look at how government agencies can operate proactively when it comes to media relations. Cultivate proactive relations with the media. Operate and respond effectively in a 24-hour media environment. Reach and inform the media on issues of importance to decision-makers and the public, even on short notice. How can institutions work to meet these objectives? Monitoring the television media (and really, all forms of media) is the first step in opening the lines of communication. If the organization doesn't have its ears open or its antennas up, then it can't effectively respond to or inform the public (via the media). Plain and simple, SnapStream's core features deliver government officials with the most practical, reliable solution for managing the media, and managing it better. So folks, this is why we are going to GTEC Nov. 6 - 7: to help spread the aid of our technology across Canada. or drop by to discuss your TV monitoring goals at your convenience. Reference the map below so you know where to find us! Lots of folks have conspiracy theories about the government, that the government is Big Brother; the government is always watching. Well, I'm here to tell you that government surveillance is a real thing, in one aspect that I know for sure, and that is television monitoring. I can say this with the utmost certainty because SnapStream is in use at hundreds of government organizations throughout the United States, Canada and beyond. Today, our team is on the ground at GTEC, Canada's largest government technology exposition. It's our second year showcasing TV Search at this event thanks to our partner, CBCI Telecom, for prompting us to make it a yearly ritual. At the brand new Ottawa Convention Centre, the government's IT community will congregate to see the hottest spread of tech offerings, looking for ways to improve operational efficiency while justifying the budget spend, no doubt. In these aspects, SnapStream is attractive for many public affairs and public information departments who have a vested interest in monitoring televised media on their own terms. Politicians and political parties, too, are a great fit for SnapStream. With SnapStream, you are the keeper of your TV recordings—you have the power to search, clip, archive and transcode your content. After attending GV Expo last year, I learned that having in-house control over this process is key for government authorities, who need to respond to media requests, dispatch information and maintain an archival of all their press appearances, mentions and activities. 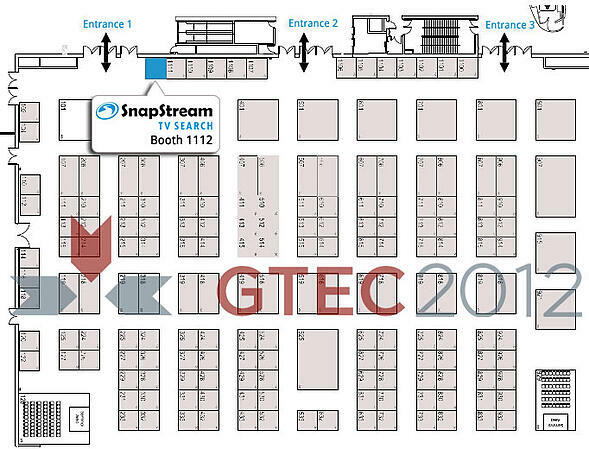 If you're at GTEC Oct. 18 and 19, come visit SnapStream at booth 123 for a demonstration. The first time you see a TV search in action, you'll be amazed at how familiar it feels, just like searching the Web. It's that snappy and easy. "Mr. Speaker, Mr. Vice President, members of Congress, distinguished guests, and fellow Americans." President Obama commenced his second State of the Union speech, addressing the congregation in the rich oral tradition of his predecessors. The President spoke for just over an hour, in what commentators considered broad strokes, focusing on the nation's bright future with optimism instead of renegotiating issues of recent years past. Here, let's pull up the recording. And grab the transcript to download in seconds. Now, you could also search by keyword, to skip to the topics which interest you. Perhaps it's healthcare that gets your blood pumping, or job creation that perks your ears up. 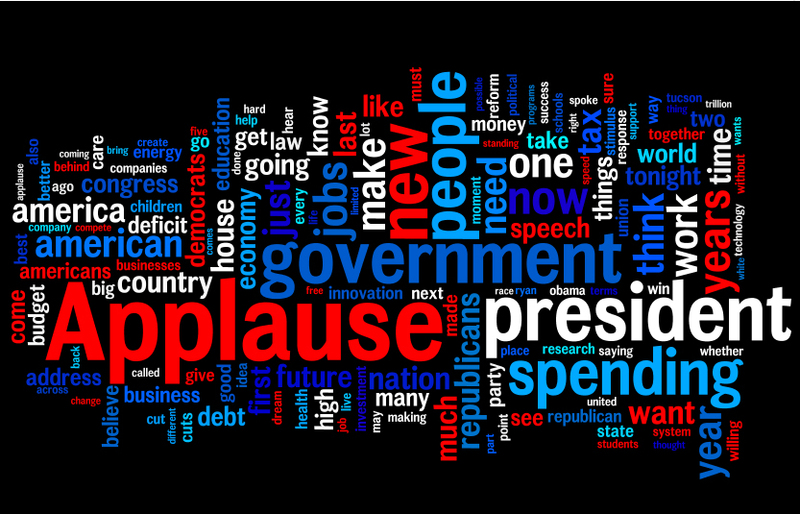 For now, we'll take a look at the overall themes by copying and pasting the televised transcript (courtesy of SnapStream) into a word-cloud creator called Wordle. Note: While the State of the Union address is easily accessible to the public all over the Internet, this is not the case for the majority of broadcast content, which is where SnapStream comes into play. For our intents, this is a timestamped example. 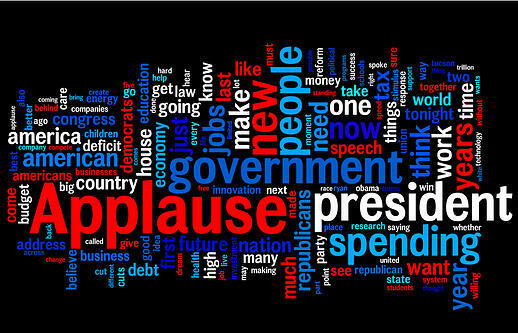 [Applause] occurred frequently throughout the speech. There was no booing last night across the partisan aisle. One could infer that Democrat, Republican and Tea Party members stood united after the recent Tuscon tragedy involving Congresswoman Gabrielle Giffords, among others. 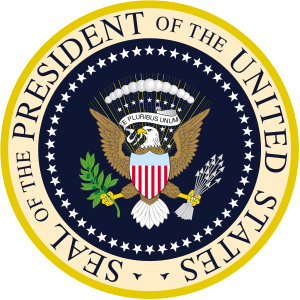 To leave you with something further, the American Presidency Project has a unique historical resource to explore. It lists the length of every State of the Union Message and Address, by word count, dating back to George Washington in 1790. Dear @DPBuzz, it was great meeting you at GV Expo 2010. Thanks for stopping by SnapStream's booth to learn more about our television search technology. Now all of our blog followers can tune into the chat with Tom Wilson to better understand our application. Bet you didn't know that we have some cool, bigwig government customers like the Library of Congress and U.S. Senate. Every year after the Thanksgiving turkey has been gobbled, I know one thing is for sure. 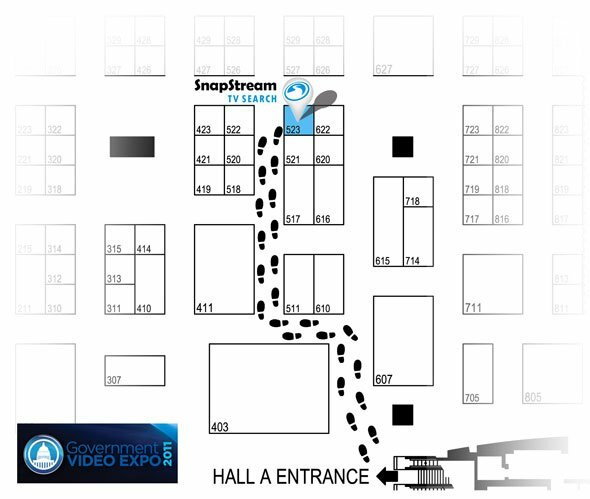 Team SnapStream is bound for the nation's capital to partake in the expansive Government Video Expo. This year, the event runs December 1 - 2 and will mark our fourth trip to what is known as the largest video production and training event to grace the east coast. I love traveling to Washington, DC since it's the thriving epicenter of our government customer base, which includes the U.S. Senate, the Library of Congress and lots of federal organizations under lock and key. Yet it's important to note that the applications for TV search are boundless between city, state and federal government, and we have customers across the map with systems ranging in power to meet all levels. The gathering at GV Expo is largely federal, so we will be demonstrating our more powerful systems that can record and archive greater amounts of television over time. 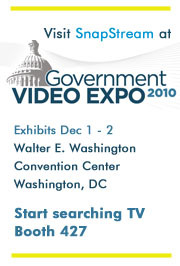 I personally invite all of you "TV Searchers" to our booth (427) to be among the first to test our next generation of TV search technology, which will be fully released in the first half of 2011. I look forward to seeing many of your familiar faces at GV Expo, and happy holidays to all! As media outlets were buzzing yesterday about midterm elections, we were closely tracking what was mentioned on major television networks here at SnapStream headquarters. Since we're a television search and monitoring company, we employ our own SnapStream Servers to record U.S. national TV (ABC, CBS, NBC, FOX, MSNBC, CNN and HLN) and provide insights into what is said on U.S. television. On big news days, like an election night, we gather all the closed-captioning data and run the numbers to distinguish the overarching news trends. From SnapStream's aggregated television data, clear-cut trends emerge about the nation’s pulse during this pivotal midterm election, which serves as a forecasting indicator of the political climate stirring for the 2012 Presidential Election. Based on over 60,000 hours of recorded television, freely accessible to anyone at tvtrends.com, we find a heavily evident media focus on the Republican Party and a direct correlation with the outcome of Tuesday’s balloting. As Democrats’ majority in Congress slipped, so did their rate and frequency of national news coverage. Several approximations are used when computing results, such as how many mentions occur per unique hour. To determine the “hot” and “cold” measure of certain words or topics, we use an equation to calculate a frequency score that’s normalized to the number of hours of TV recorded on any given day. 5. 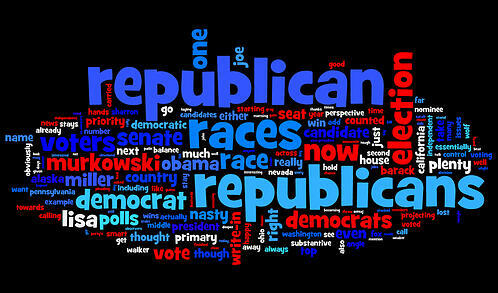 ABC On the word "republican(s),"
5. HLN On the word "democrat,"
SnapStream TV Trends aims to provide insights into what is said on U.S. television. Updates occur every half hour and data is shown once the show is complete. To customize your own TV Trend search, visit http://www.snapstream.com/tvtrends. From patrolling on horseback at the turn of the century to searching TV in the new millennium, IACP has come a long way as the world's largest oldest and largest association of law enforcement executives. On Saturday, Oct. 23, SnapStream's CEO Rakesh Agrawal and Senior Sales Engineer Tom Wilson led a session in the Public Information Officers section track. Our friends at the Plano Police Department (TX) and Lee County Sheriff's Office (FL), Officer Rick McDonald and Lieutenant Larry King respectively, participated in the panel discussion as well. Here's one example from Lee County Sheriff's Office (LCSO). When the State Attorney's Office dropped murder charges on two suspects arrested by LCSO, local media all used the word "botched" in reference to the investigation. At no point did the District Attorney (or anyone) use this term. See for yourself how this was a flagrant case of the media "piling on." PIO Lt. King brought this reel into a meeting between public safety and the media: prepared, supporting evidence using SnapStream. This year, IACP attracted nearly 14,000 attendees with members diversified from over 100 countries. The workshops provide excellent training opportunities in law enforcement leadership, tackling new, yet important issues like social media policy and outreach and media response with TV search technology. 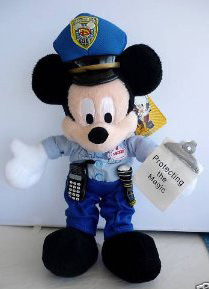 For conference updates, visit the IACP 2010 Blog or follow @IACPOfficial on Twitter. 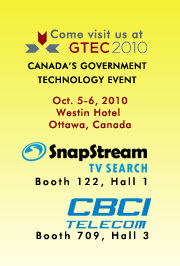 On October 4, SnapStream is escaping the Houston humidity and making a break for beautiful Ottawa, Canada to exhibit at the annual GTEC (Government Technology Exhibition and Conference). GTEC draws folks from the public sector within Canada to learn about the latest and greatest technologies around. I believe the GTEC website (http://www.gtec.ca) summarizes the conference to a T! Personally, I’m happy to be participating in GTEC for the first time. It will give us a chance to not only introduce our TV media monitoring technology to new Canadian government departments, but also to reconnect with many of our existing customers. We’re also thrilled to announce that our Canadian partner, CBCI Telecom, will be attending the show! CBCI Telecom is Canada’s leading full-service Telepresence, Videoconferencing & Audiovisual solutions integrator. A little background on SnapStream and CBCI Telecom: The working partnership was established in 2009, when CBCI introduced the SnapStream product line to the Canadian NMSO (National Master Standing Offer). 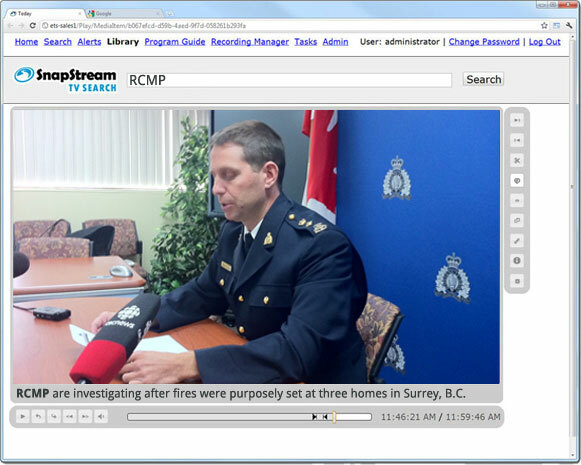 Since then, SnapStream and CBCI have rolled out systems to many municipal, provincial and federal government departments across all of Canada, including the RCMP. If you’ll be in the area, feel free to visit with either SnapStream or CBCI. Hope to see you up North!